Are you looking for new and different ideas to brighten up your home and garden? Do you want to create a home that is more practical and stylish? We’ve scoured the web to bring you the very best interiors and lifestyle blogs where you’ll find inspiration, tips, projects and more. This crop of bloggers are all on a mission to share inspirational images and advice. They’ll help you restyle your spaces and make your home a happier, and more beautiful place to live. 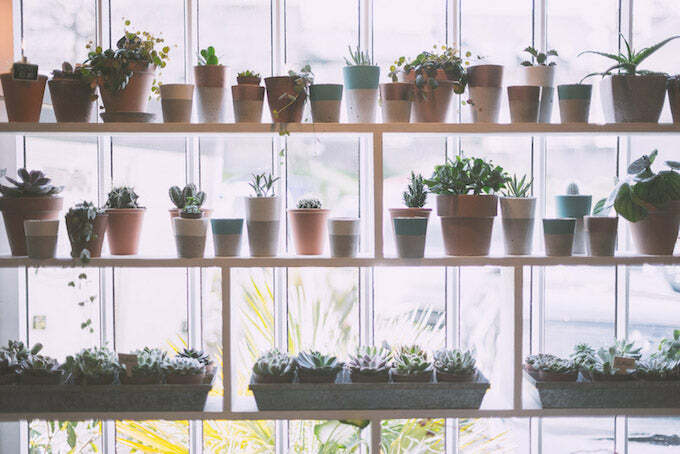 Fresh ideas include how to introduce low-maintenance plants to your home. Looking for some home decoration inspiration? Welcome to Rachel Newcombe’s blog. She’s a freelance home, interiors and property writer who blogs about ‘fabulous finds and decorating inspiration’ to get the designer in you twitching. From finding the best online room-planning tools to ideas on making the most of your garage space, if you’re looking for innovative modern design ideas to transform your home then look no further. Rachel shares her advice on dilemmas like how to add contemporary style to your bathroom (choose minimal fittings and create a sense of space by minimising clutter) and reveals her favourite products to revamp your garden room including artificial forest ferns and carefully chosen statement lighting and furniture. An ideal way to decorate a window space without blocking light. Need extra long curtains but don’t want to spend a fortune? Fifi shows you how with a trip to Ikea and a design hack with minimal sewing required. Fifi McGee is a self-confessed lover of she-sheds who lives by the sea in Brighton. Read all about ‘Project No 42’ - the renovation project where she’s slowly creating a modern country farmhouse in the centre of town. Take a look at the pre-war newspaper Fifi found under the bedroom carpet – and find out what she plans to do with it. Fifi’s blog is an excellent resource for budding interior designers. Need some tips for creating a mood board? You’ve come to the right place. ‘Beige is banned’ inside the Pink House in Edinburgh – a place where colour reigns supreme. The Pink House blog, led by owner, Emily combines the style know-how of her team of three to bring you a wealth of interior design cues. You can also take a gander inside other inspiring and amazing houses. Spy on colour genius Jessica Buckley’s Edinburgh pad and get an exclusive tour around the stylish Oxfordshire country house that’s home to two unicorns. There’s always plenty going on at the Pink House! Torie Jayne shows you how to make a stunning outdoor bar using wooden crates and decking wood. You know someone’s design hacks and how-to tutorials are worth a look when they have over a million followers on Pinterest! your own oven gloves to building the stylish outdoor bar pictured above, blogger Torie Jayne shows you how to give your handmade creations a professional edge that’ll get your friends talking. No wonder Torie’s blog is such a hit – she’s designed for brands like American Eagle Outfitters, Zara, and Marks & Spencer. Check out her ‘notebook’ feature which lets you see where she bought absolutely everything featured in her photography, so you can easily emulate her style. Discover unique vintage finds like this chalkware Japanese lady lamp on h is for home. Ever heard of Alan Fletcher? One of the giants of 20th Century graphic design, his creations include book and magazine covers for Penguin, Time and Life. He also designed logos for Reuters and the V&A. Fletcher is just one of the designers bloggers Adelle and Justin profile in their Designer Desire series - a window into the lives of some extraordinary artists which brings a whole new source of inspiration for your own home decor. Adelle and Justin source vintage items, with an emphasis on mid-century modern for their online store. On their blog they share their ‘musings on vintage homes and interiors, home tech, gardening, baking and other stuff ’. Embrace serious styling on a budget with amazing easy-sew curtains made from a £10 dust sheet. Or find out how to make ugly, twin slot shelving into a thing of beauty using metallic gold spray paint and simple ply shelves. Alice in Scandiland is run by a champion of the she-shed, Alice Collyer, who lives in Cornwall and believes ‘if it makes you happy you can make it work in your home’. We like that. Fancy yourself as a DIY dab hand? Have a go at Alice's wonderful wooden bead cable light. It's amazing what you can achieve with some beads, simple wiring and a few drops of olive oil! 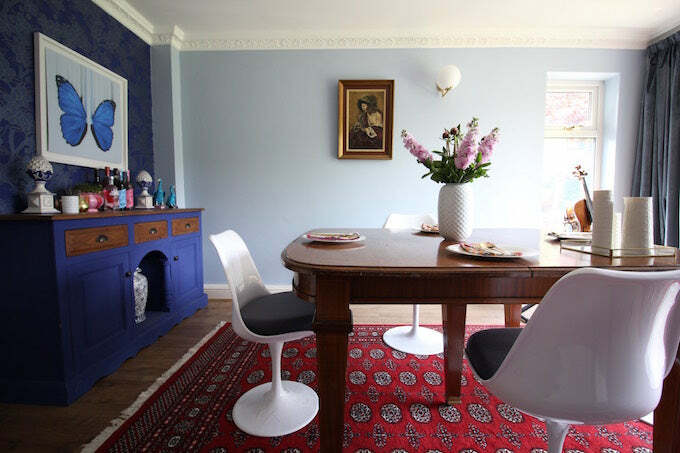 Find gorgeous colour clash, retro styling ideas on this interiors and lifestyle blog. Follow blogger Laura’s progress as she transforms an eighties avocado bathroom with a leaking toilet into a five metre-squared haven of cleanliness and calm. Also witness her inspirational bedroom revamps as she seeks a perfect marriage of function and style in her lovely home. Glasgow-based mum-of-3 Laura is a lover of cosy Scandi styling and sheepskin - she says they fit the climate in West Scotland perfectly! That means there’s plenty of prints, monochrome with contrasting colour, knick knacks and ideas to bring a little hygge your way. Handy husband Rob also happens to be a dab hand at the building side of projects like turning their log cabin into an additional room. Life gets in the way of her projects but if you’d like to create a snug, homely, yet stylish home of your own, Laura’s blog offers just the inspiration you need. With her Modern Country Makes tutorials, Blogger Sarah gives traditional country-craft projects 21st century appeal, including transforming a teatowel and too-small school trousers into a beautiful panelled cushion. Sarah lives in a little village in the Cotswolds with her husband Guy and five children, and her blog is about all things countryside. What’s the perfect country paint colour? Sarah tests lots of Farrow & Ball colours and provides inspiring ideas and practical tips for using them in different spaces. Why not take a tour of the Edwardian house & garden the family are slowly renovating – inspiring stuff for lovers of country-style everywhere. Want to take a peek inside the world’s trendiest hotels so you can borrow their style secrets? From old Hollywood glamour in New York’s Hotel Baccarat to boho chic on Mykonos, blogger Jenny shows you how to create a world of looks work in your own home. Bored of your old Ikea wardrobe? Hack it with a genius wallpaper makeover that will make it look a million dollars. This blog is full of amazing ideas to make your home work well and look fabulous. Seasons in Colour is the brainchild of award-winning interiors blogger Jenny Kakoudakis. This is the place to follow her interior design journey — and pick up lots of hints and ideas. Do you write a homes and interior design blog or have one you’d like to recommend? We’d love to hear from you. Get in touch on our Facebook page.